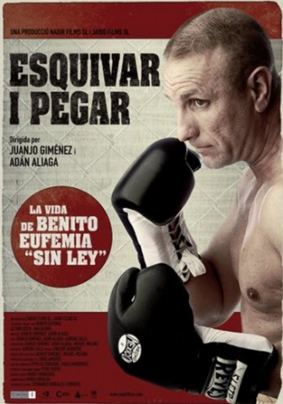 Benito Eufemia trains every morning and afternoon at the tiny Ter gym in Barcelona’s Clot district. He’s 38 and is preparing for a fight. Benito’s everyday routine is frenzied. He has a night job as a discoteque ‘coordinator’, is his mother’s carer, a teacher of martial arts at other gyms and is the promoter and impresario of his own fight. He’s just become a father and has to report to the lawcourts every 15 days to prove that he’s observing his conditional release. As the big day draws nearer, we follow Benito in his present-day activities while reliving his incredible past. Produced by: JAIBO FILMS, NADIR FILMS.